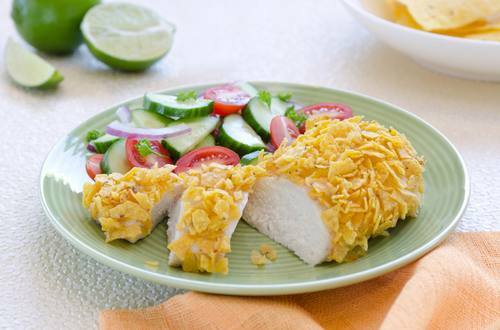 2 Combine Hellmann's® or Best Foods® Real Mayonnaise, cheese, lime juice and ground chipotle in medium bowl. Arrange chicken on baking sheet. Evenly top with mayonnaise mixture, then sprinkle with crushed tortilla chips.